Helping your child learn how to develop leadership skills is always a worthwhile pursuit. 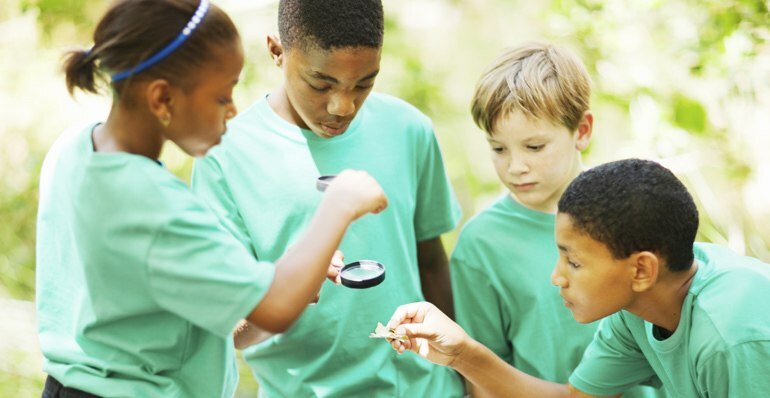 While one of the most obvious places for kids to exercise their leadership capabilities is the classroom, their “training” doesn’t have to be limited to that setting. Below are some effective ways to help kids sharpen their leadership skills well beyond the four walls of the classroom. Hone their decision-making skills using everyday scenarios. One of the foremost qualities of any leader is decisiveness, which is a skill that can be developed with practice. The quality of our lives is often determined by the quality of our decisions, so the more adept your child becomes at making good decisions, the better off they’ll be in the long run. Consistently offer your child opportunities to hone their decision-making skills by presenting them with options and allowing them to weigh the pros and cons of each potential choice. They can exercise this skill with something as simple as picking between two outfits, choosing a dessert, or figuring out which afternoon activity they want to do. The more opportunities they get to practice their decision-making skills, the more accustomed they’ll be to making good choices in their everyday lives. Encourage them to engage in group activities. Working with other people is an inevitable part of adult life, so the earlier your child learns how to function and thrive in a group environment, the better. This can be something like participating in a scouting troop, joining a sports team, or becoming part of the school band. Don’t rule out the more casual group activities either; in fact, you can join them in fun recreational activities that require teamwork and group participation. One great example of this is an escape room experience, which is a thrilling real-life adventure game that challenges a team of people to escape a locked and themed room within a 60-minute time frame. Houdini’s Room Escape is a prime example of an “escape the room” Cincinnati venue that can provide a worthy challenge for your team. You’ll have a blast with your child as you work together with him/her to solve puzzles and discover riddles, working to beat the clock and earn your freedom from the room. You might be surprised at how much leadership your child may demonstrate when they’re allowed to put their thinking cap on and help the team find the key to escape the room. Help them practice communicating with confidence. If you’re ordering your child’s food for them at the restaurant, try letting them speak directly to the server instead. You can also allow them to buy something at the store (e.g., a pack of gum, etc.) when you make a quick stop to pick up a couple of items. When they’re allowed to speak to the cashier all on their own and pay with their own (parent-funded) money, they’ll have a greater sense of independence, which breeds the confidence that is so essential to leadership. Place a strong emphasis on perseverance. One of the most outstanding characteristics of history’s great leaders is their perseverance. If your child is going to develop a well-rounded set of leadership skills, they’ll definitely need to learn the value of overcoming obstacles and sticking with their goals no matter what headwinds they may face. The reality of life is that the path to success is riddled with multiple failures along the way. Whether they’re learning how to put together a jigsaw puzzle, ride a bike, or land their remote-control drone without crashing it, future leaders need to experience the value of staying with something and “failing forward” until they succeed. Experts often debate about whether leaders are born or made. Countless examples throughout history have shown that some of the most unlikely personalities can become strong and powerful leaders, so it’s well worth your investment of time to help develop leadership skills in your kids, matter what their personality type may be. Use the tips outlined above to bring out the leadership qualities in your child; you never know how this early training might develop them into an amazing leader down the road.